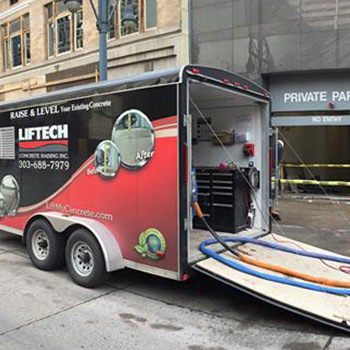 Liftech performs a variety of concrete stabilization, lifting and foundation repair jobs, whether residential, commercial or municipal across Denver, Boulder, Fort Collins, Colorado Springs and surrounding areas. Contact us today to learn more information about the concrete repair services we can provide you. Due to unstable soils and poor re-compaction during the construction process, concrete often fails, leaving trip hazards, unsightly conditions, and causing improper drainage around your home. In this case, you need a skilled concrete contractor. 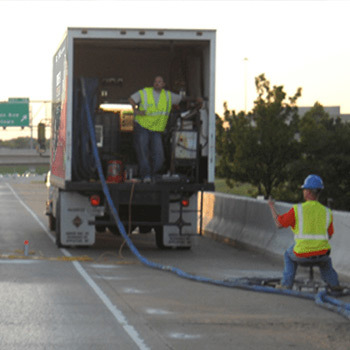 Polyurethane is a strong and effective tool for lifting and leveling concrete and stabilizing soil, and has become the standard for concrete repairs in the commercial industry. When you need commercial concrete contractors, contact us. Unstable soil underneath concrete roadways, sidewalks, bridges, and related infrastructures can cause hazardous conditions for the public. 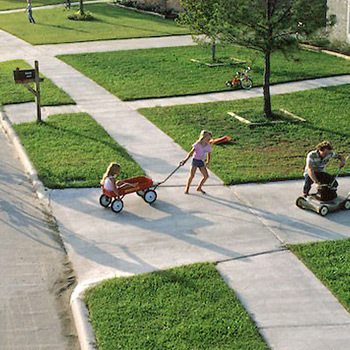 See our page on fixing these hazards here, and contact our concrete contractors for municipal concrete repair services.